I look at my relationship with my favourite film as being analogous with great, romantic love (starting to get an insight as to why my love life is, um, troubled, while writing this sentence). My childhood sweetheart was Star Wars, my first teenage relationship was Goodfellas, and the first one where romance and feelings mattered was The Apartment. About three years into that relationship, though, I realised that I didn’t believe in CC Baxter and Miss Kubelik’s happy ever after (Billy Wilder’s intention, I believe), and ironically, it didn’t work out for me and The Apartment, either. Currently I’m in a continental-style group marriage with three films. I hope, at some point to write about why I love David Lean’s Brief Encounter so very much or why Sergio Leone’s Once Upon a Time in the West takes my breath away with every viewing. However, as this weekend sees the re-release of Michael Powell and Emeric Pressburger’s The Life and Death of Colonel Blimp, that seems like a perfect excuse to eulogise one of the best and most laudable films ever made. If ever the point needed to be made that politicians know nothing about anything important, you could do worse than explain that Winston Churchill (then Prime Minister) hated The Life and Death of Colonel Blimp*. He believed that, with its heroic German character, it would undermine the country’s wartime solidarity. He went out of his way to damage the production, blocking Powell and Pressburger’s casting of Laurence Olivier as the central character, Clive Wynne-Candy, for example. It would be impossible to list all of the nuances that Churchill, and contemporary critics, missed; but there could be no worse slander to this film so drenched in humanity than to accuse it of being anything other than ardently anti-Nazi. 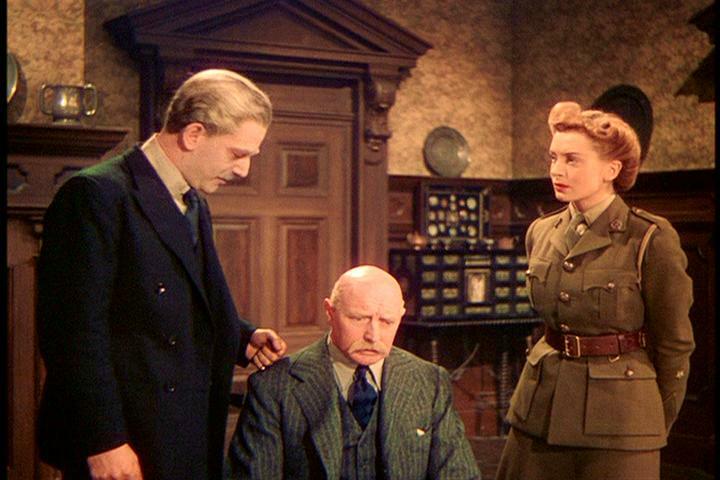 The Life and Death of Colonel Blimp would be an extraordinary film if it had been made at any point in history. But for this film to have been made in the midst of World War II beggars belief. In spite of Churchill’s objections, this is a film that eloquently, powerfully makes the case for the war. It does it in the words of a retired German army officer, Theodor Kretschmar-Schuldorff (played exquisitely by the great Anton Walbrook), recounting the horror he feels over his Nazi children as he appeals for British citizenship. In showing the humanity of Germany, as portrayed by Walbrook, it emphasises the horror of Nazism, and does nothing but re-enforce the importance of the Allied efforts to defeat such evil. Schuldorff is rescued from an internment camp by Wynne-Candy (Roger Livesey in the role of a lifetime). Their friendship was formed after Wynne-Candy insulted the German Army during the Boer War. The matter was settled by pitting the two men against each other in a duel and they become friends afterwards, while convalescing in hospital. That hospital stay also introduces the other key relationships in the film; as the two friends both fall in love with a young British woman, Edith Hunter, played by Deborah Kerr. Wynne-Candy doesn’t realise his feelings in time, but Kretschmar-Schuldorff does and he and Edith are soon married. The other two women who subsequently come into Wynne-Candy’s life (his wife Barbara and army driver Johnny) are both also played by Kerr. This taints the rest of the film with Wynne-Candy’s sadness at letting the love of his life slip through his fingers. He admits that he loves Barbara because she reminds him of Edith; they get married but we never get to see their happiness together. Likewise, once Theo has married Edith, we never see them together again. So while Blimp is a romantic film, it’s shot through with a sense of great loss and sadness. The film’s other major themes echo that sadness. We see both men alienated by the nature of their armies. Wynne-Candy doesn’t approve of the loss of a sense of decency and fair-play that he perceives is seeping through the British military. Theo, meanwhile, is aware of the need to defeat the Nazis, whatever the cost. This has left them both estranged from their lives’ work as patriots and soldiers. Wynne-Candy feels this sadness acutely. When we first meet Wynne-Candy, as a rotund, elderly, walrus-moustachioed windbag, he’s organising military exercises for young recruits, and is shown to be out of touch with modern methods when he’s captured by an over-zealous young lieutenant. He is incensed by the flagrant breach of the rules, but is mocked by a generation with no interest in his insistence on gentlemanly soldiering. We’re reminded that this is the way of the world. After all, Clive only found himself in Germany in 1902 after disobeying orders, believing in the wisdom of youth. What the film wishes us, in the audience, to take away is that wisdom is not diminished by age or experience. That age should be respected, cherished and valued. The film is also a technical marvel. Shot in glorious Technicolor by the great Georges Périnal, this is as much of a visual spectacle as Powell & Pressburger’s later masterpieces The Red Shoes or Black Narcissus. The filmmakers never received the critical acclaim that they deserved during their careers. 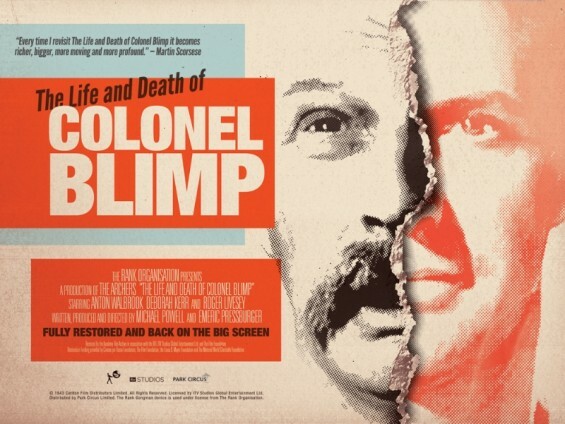 The Life and Death of Colonel Blimp was not appreciated upon release, and was heavily cut. The US version was re-edited into chronological order, robbing the film of much of its thematic momentum, and cut by nearly half, down from 163 minutes to just 90. The critical reassessment of Powell & Pressburger has been led, in part, by Martin Scorsese. A famous devotee of Powell’s much maligned solo-effort Peeping Tom, Scorsese has lionised the work of The Archers (the pair’s mini studio) as well. He’s not alone, The Life and Death of Colonel Blimp has been named as one of the 50 best British films by the BFI, while Anthony Lane, writing in the New Yorker magazine, has claimed it as his favourite film. 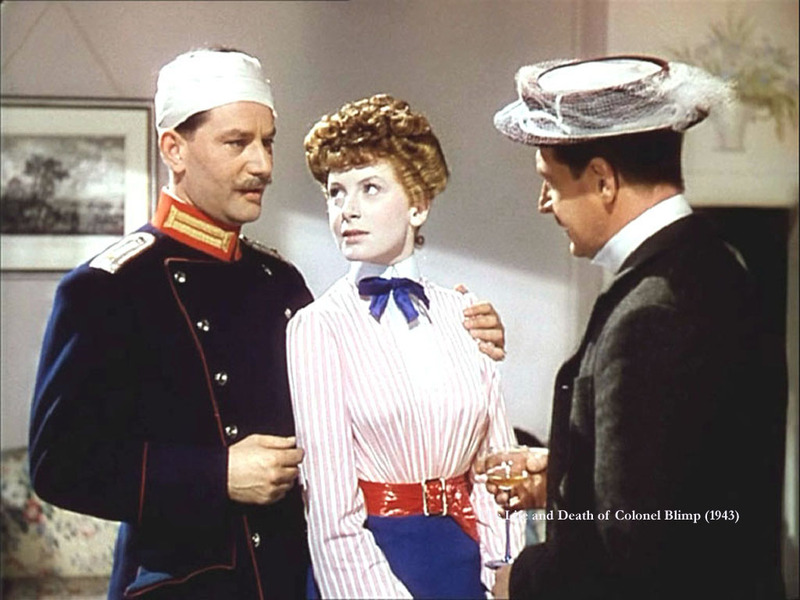 The Life and Death of Colonel Blimp is many things: a great and affecting love story; a wise and moving treatise on friendship; a wistful film about getting old and being replaced by a new generation; and the value of decency, especially in terrible times. It’s not merely the best film released this week, but a true touchstone in British cinema history and one of the bravest, warmest and most urgently necessary films ever made. * Politicians’ tastes have not improved… Tony Blair’s favourite film is Rush Hour. I always absolutely fall for you when you are soppy about films. I can’t wait to read your piece on Brief Encounter. I don’t believe I’ve ever seen this. I will now though.